1Please make sure you have all of the ingredients ready before you start mixing them, so you don't forget anything. 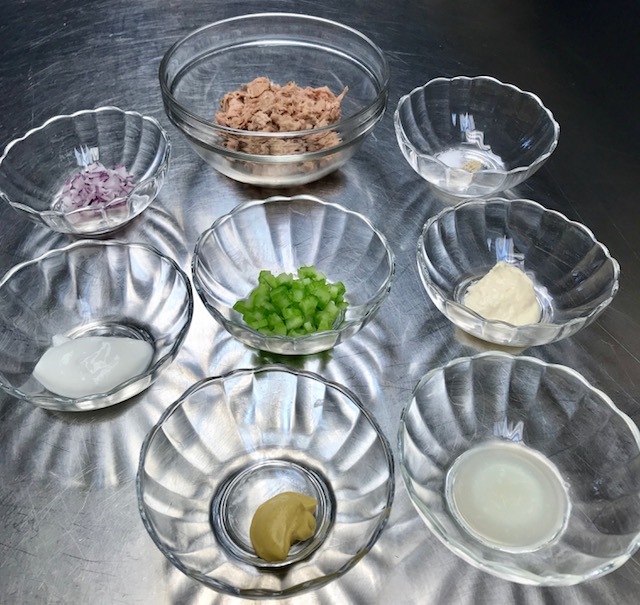 For picture purposes we separated all of the ingredients for you to see, but since you will mix everything together you could measure them into a medium bowl right away. 1Put a slice of whole-wheat bread on a plate and cover the bread all across with the leafy greens. - You do that so the bread won't get soggy from the tuna salad. Also the leaves add extra crunch and nutrition. 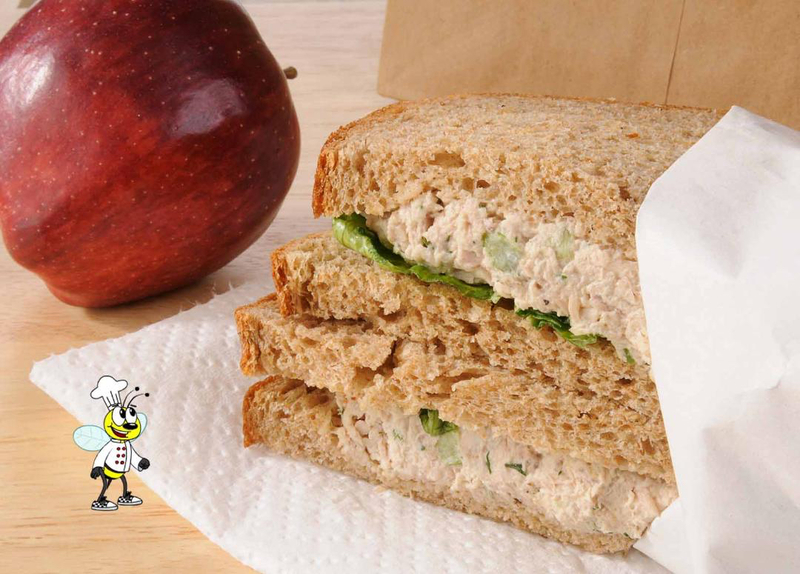 2Scoop the tuna salad onto the bread and spread it even. Then put the second slice of bread on top. It's that easy. 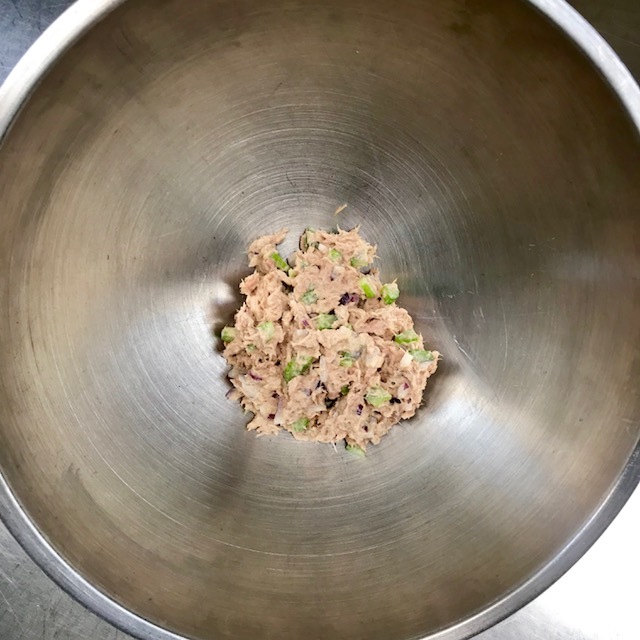 1 small can (4-5 ounces) chunky light tuna (in water, not in oil). Please make sure to drain the tuna first. Once you open the can you can either put the tuna into a colander and drain the liquid or you can use the lid of the can and squeeze it down while turning the can sideways, which will also get the liquid out. To get even more flavor and nutrtion into your sandwich you can add a few slices of tomatoes, cucumbers or hard boiled eggs. 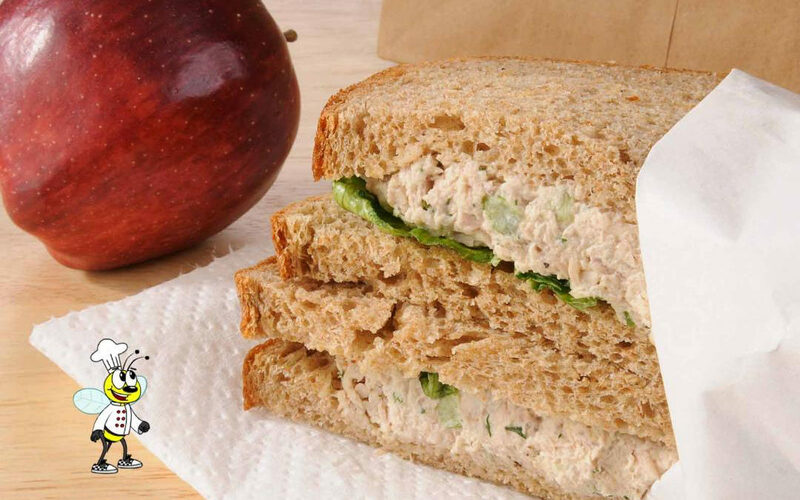 To make your tuna salad extra creamy and to add more nutrition you can mix 1/4 cup avocado. 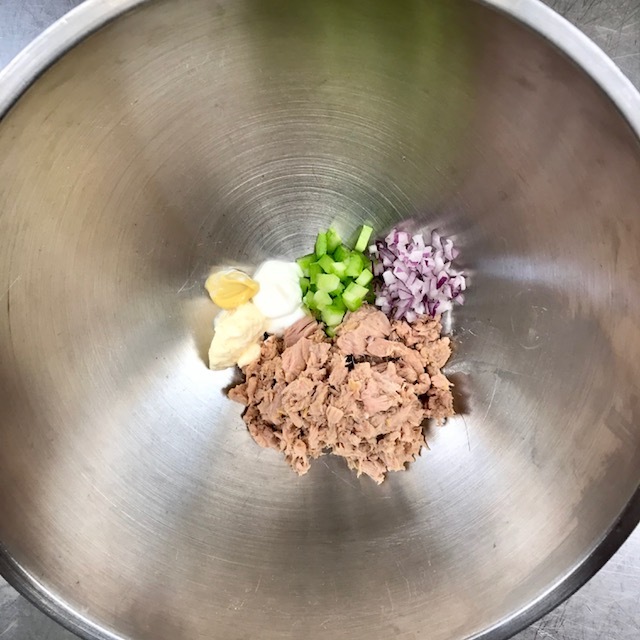 Simply mush it with a fork and add it to the tuna-mix.